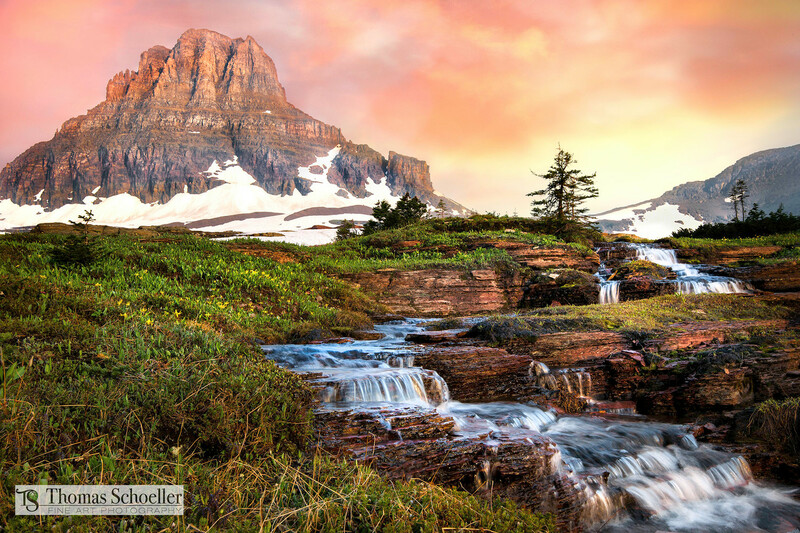 Logan Pass Montana. One of the most spectacular and visually stimulating scenic locations in all of North America. This scene was captured in the Hanging gardens just a short walk from the fabled Triple Falls. One of the many glacially fed mountain streams that feed the Reynolds Creek watershed winds it's way beneath towering Mt. Clements.